EAST-EUROPE – Last week we have received the first offers from our partners in Eastern Europe. These were about USD 1.- / kg. 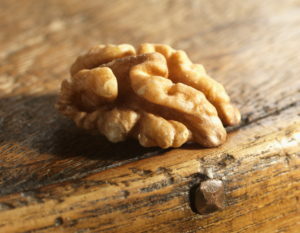 more expensive than USA walnuts. Our partners understand that we will not be able to sell much if prices from the USA remain lower than from Eastern European countries. Like we said in a previous report, we know and they know, Eastern Europe will have to drop their market levels to get business in the books. We know this will happen but also feel this will take a week or even a few weeks. The market in Ukraine simply has to understand and adapt the market situation of today and will have to lower their prices. It might happen that for the first deliveries from new crop, which can be done in a week or two, a premium can be asked. If you are looking for a specific offer for a second half October delivery, please send us your specific request. CALIFORNIA – California is offering sharp at this moment, especially as the crop seems good and China is not interested in allocating any volumes right now. Among buyers in Europe it seems that the cheaper prices have already been adapted as the current market level of today, despite that this cheaper material is not available in the market yet of course. 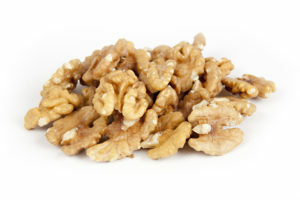 The crop is just being received and many packers are just starting to offer substantial quantities and remain careful, as they know that with current prices, demand can become strong for California walnut kernels. For them it is a thin line between on one hand getting some business in the books and some back order to run their factories and on the other hand not selling too much too low. Until mid December we will not see much new crop USA on the market yet anyway, but we feel the current levels could be interesting for those buyers who could consider to purchase a long term contract for a part of their annual needs.